It’s summer. It’s hot. And you’re go-to look is the well-known three strand braid. While there’s nothing wrong with this look, sometimes you need to step out of that braided comfort zone. How about giving your braid an upgrade by adding summer’s hottest hair accessory? I’m talking about….FLOWERS. Try this effortless braided look from the owner of Butterfly Studio Salon, Kattia Solano. This style works for almost any hair length and is perfect for those summer outings. Short hair? Do a side braid with one section of your hair an add a flower. Long hair? Go crazy and add several flowers the length of your braid. First step: set the crown area with a small curing iron. For the rest of hair, take random sections and simply wrap the hair vertically around the rod. This will give it a bit of wave and texture. Spray with Oribe Dry Texturizing Spray before you brush out for hold, grip, and a better style. Braid hair over to one side and secure. Open the braid and create a soft frame (wave/swoop) in the front. Take your flowers and cut to desired length, keeping the stems long and choosing wider and fuller flowers. Place the flowers by sticking into the braid and secure with a bobby pin. Design your own way, follow your inspiration, and break the rules. An added idea to create a look with more drama is to apply flowers through the length of the braid. Celebrities have been wearing the braided look and doing it really well on the red carpet. Here are a few of my favorite celebrity braided looks. 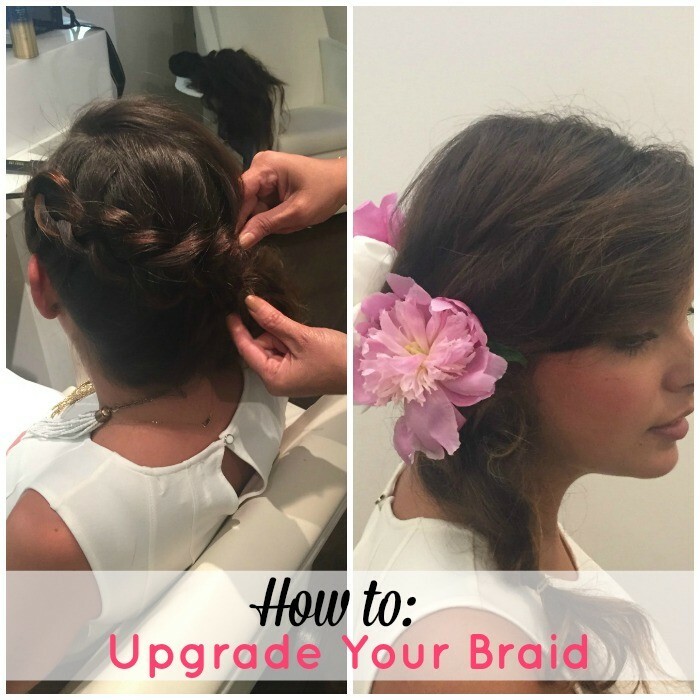 Are you ready to try the braided look with or without a hair accessory?